At Copenhagenize Consulting we're partners in a European Project, CycleLogistics, which will promote the use of cargo bikes in European cities for the next three years. It's a massive project and very exciting for our company, as well as the other stakeholders involved. Next week we're heading to Ferrara, Italy for the next CycleLogistics meeting. Copenhagen, of course, is a benchmark city regarding use of cargo bikes. With around 40,000 cargo bikes in use in Greater Copenhagen each day, it's safe to say that cargo transport is mainstream in the Danish capital. A quarter of all families with two or more children have one and a growing number of services are provided via cargo bike. All well and good. But let me introduce to you Rio de Janeiro, because there are a few tricks that city can teach the rest of us. 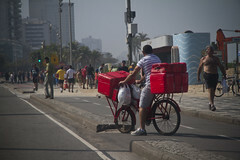 A few months ago I wrote about the cargo bike culture in Sao Paulo, which was fantastic to experience. 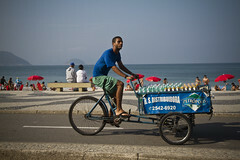 I knew that Rio de Janeiro was going to be something special when I was picked up by friends at the airport on a cargo bike carrying a folding bike for me to ride. One of the friends was Ze Lobo, who works at Transporte Ativo, and over my time in the city he filled me in about the state of the nation regarding cycling and, not least, cargo bikes. The latter is something worth broadcasting. The active transportation NGO Transporte Ativo did a cargo bike count last year, focusing on the Copacabana neighbourhood in the city. It's worth mentioning that a lot of the perceptions of Rio and Brazil don't really apply anymore. The country and the cities are experiencing an economic upturn. Indeed, it's the only country I've been to over the past ten years or so where the almighty Danish kroner was rather unimpressive. Prices were largely the same across the board. The point is we're not dealing with an underdeveloped city here - certainly not the Copacabana neighbourhood. So. Let's hear about the amazing cargo bike culture they have going on. 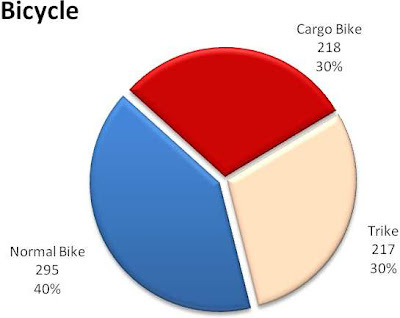 The Transporte Ativo report counted bicycle and cargo bike deliveries in fantastic detail. Here's the rub: There are 11,541 deliveries made by bicycle or cargo trike every day in the neighbourhood. Eleven thousand five hundred and forty one. Making 23.082 journeys - back and forth. 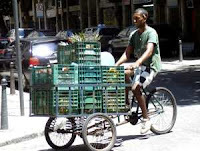 As Transporte Ativo puts it: "One of the most important and expensive urban freight stages is the last-mile, when the goods are delivered from shops to consumers. Cargo vehicles powered by human propulsion have been used worldwide to reduce cost and air pollution related to the last-mile. Cargo bicycles are the best option for transporting goods over short distances and can easily be integrated into city’s busy streets. Its use lightens the burden of motorized transportation, such as congestion, parking issues, air pollution and its impacts on climate change." Here's the area of interest. Here is a graph about the kinds of establishments that were included in the count. The numbers of bikes and cargo bikes that the establishments have. The number of deliveries that the establishments make each day. Here is an overview of the kinds of pedal power used by the establishments. 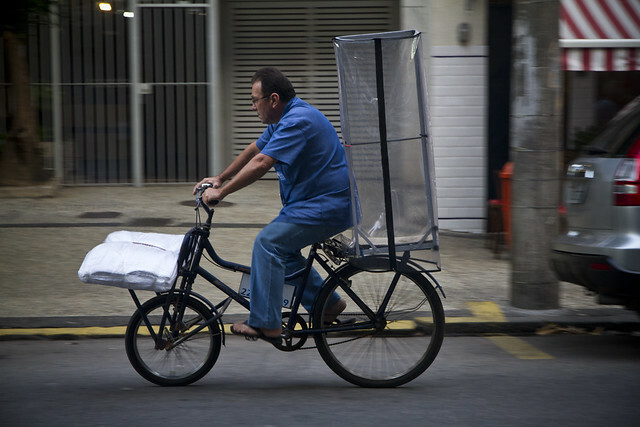 38 Bakeries: 1307 deliveries/day; 71 cyclists; 68 bicycles. 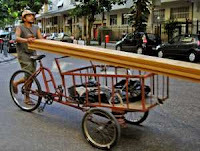 36 Construction & electrical supplies: 768 deliveries/day; 60 cyclists; 56 bicycles. 32 Laundries: 557 deliveries/day; 41 cyclists; 42 bicycles. 29 Supermarkets: 1398 deliveries/day; 86 cyclists; 79 bicycles. 22 Beverage Distributors: 1812 deliveries/day; 101 cyclists; 90 bicycles. 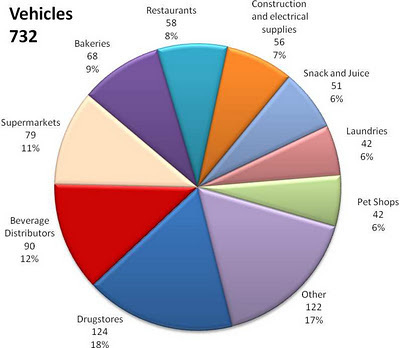 20 Pet Shops: 489 deliveries/day; 39 cyclists; 42 bicycles. 11 Retail kiosks: 96 deliveries/day; 16 cyclists; 14 bicycles. 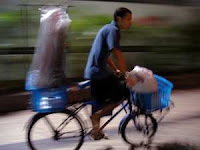 9 Mattress stores : 68 deliveries/day; 9 cyclists; 9 bicycles. 6 Electronic workshops: 52 deliveries/day; 8 cyclists; 8 bicycles. 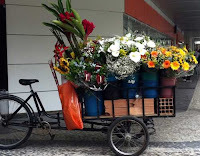 3 Flower shops: 50 deliveries/day; 5 cyclists; 5 bicycles. 2 Woodworks: 34 deliveries/day; 4 cyclists; 4 bicycles. 2 Cleaning supplies stores: 26 deliveries/day; 4 cyclists; 4 bicycles. 9 Freelancers: 160 deliveries/day; 9 cyclists; 9 bicycles. 2 Cobblers: 22 deliveries/day; 3 cyclists; 3 bicycles. 4 Auto parts stores: 40 deliveries/day; 5 cyclists; 4 bicycles. 5 Video rentals: 91 deliveries/day; 9 cyclists; 8 bicycles. 9 Butchers: 378 deliveries/day; 17 cyclists; 17 bicycles. 11 Bars: 68 deliveries/day; 10 cyclists; 15 bicycles. 42 Drugstores: 2377 deliveries/day; 132 cyclists; 124 bicycles. 35 Snack and juice: 844 deliveries/day; 57 cyclists; 51 bicycles. 32 Restaurants: 724 deliveries/day; 59 cyclists; 58 bicycles. 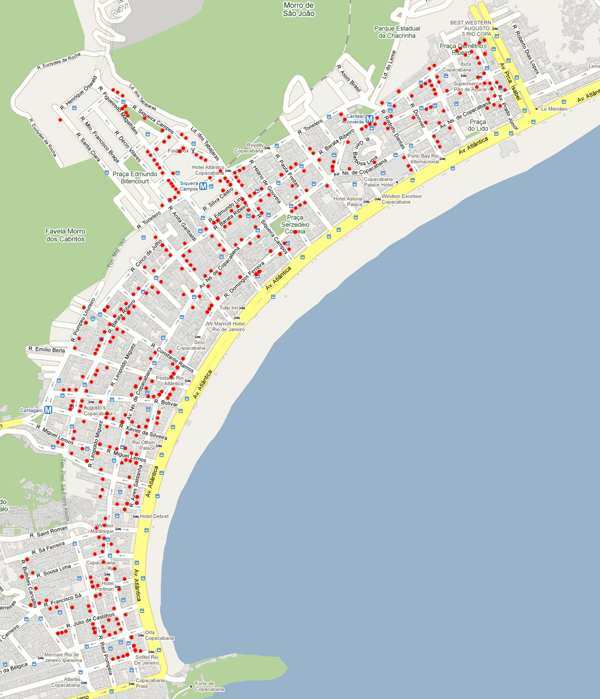 Here are the details of the establishments, the number of deliveries, cyclists and bikes/trikes. 42 Drugstores: 2377 deliveries; 132 cyclists; 124 bicycles. 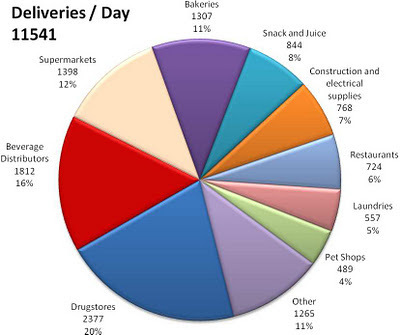 38 Bakeries: 1307 deliveries; 71 cyclists; 68 bicycles. 36 Construction & electrical supplies: 768 deliveries; 60 cyclists; 56 bicycles. 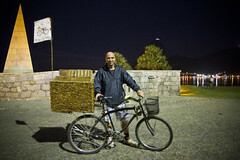 35 Snack and juice: 844 deliveries; 57 cyclists; 51 bicycles. 32 Restaurants: 724 deliveries; 59 cyclists; 58 bicycles. 32 Laundries: 557 deliveries; 41 cyclists; 42 bicycles. 29 Supermarkets: 1398 deliveries; 86 cyclists; 79 bicycles. 22 Beverage Distributors: 1812 deliveries; 101 cyclists; 90 bicycles. 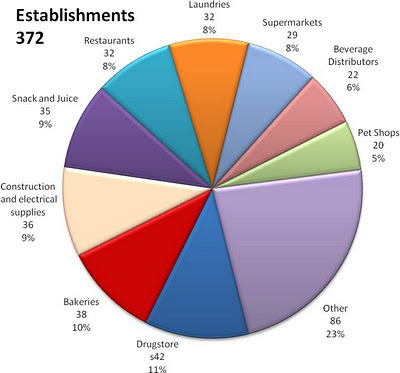 20 Pet Shops: 489 deliveries; 39 cyclists; 42 bicycles. 11 Retail kiosks: 96 deliveries; 16 cyclists; 14 bicycles. 11 Bars: 68 deliveries; 10 cyclists; 15 bicycles. 9 Freelancers: 160 deliveries; 9 cyclists; 9 bicycles. 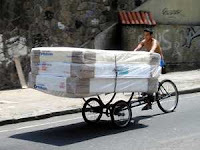 9 Mattress stores : 68 deliveries; 9 cyclists; 9 bicycles. 9 Butcheries: 378 deliveries; 17 cyclists; 17 bicycles. 6 Electronic workshops: 52 deliveries; 8 cyclists; 8 bicycles. 5 Video rentals: 91 deliveries; 9 cyclists; 8 bicycles. 4 Auto parts stores: 40 deliveries; 5 cyclists; 4 bicycles. 3 Flower shops: 50 deliveries; 5 cyclists; 5 bicycles. 2 Woodworks: 34 deliveries; 4 cyclists; 4 bicycles. 2 Cleaning supplies stores: 26 deliveries; 4 cyclists; 4 bicycles. 2 Cobblers: 22 deliveries; 3 cyclists; 3 bicycles. Other: 180 deliveries; 23 cyclists; 22 bicycles. 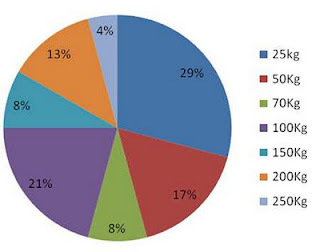 - More than half of pet shop deliveries are for animal transport. 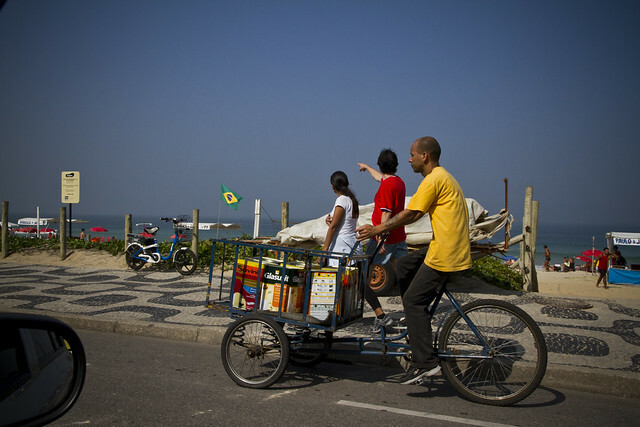 Approximately 120 pets are transported by bicycle per day in Copacabana. - In certain stores, flat tires virtually stopped after repairing puncture became rider’s responsibility. 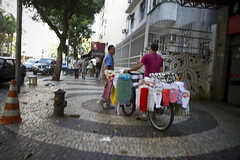 - Some tricycles come to move more than 300 kg of cargo. - The largest fleet is owned by a drugstore, with 13 bicycles. - 95% of deliveries are within a 3 km range. 4% go beyond 3 km. 1% are in the immediate area. - More than 50% of all travels include food. - The count did not include the many custom-made trikes selling popcorn, churros, steamed corn and other foodstuffs. In addition to the Transporte Ativo report, there was an annex produced by Transporte Ativo and the Institute for Transportation and Development Policy (ITDP), which sought to discover further details and motivation behind this transport behaviour. 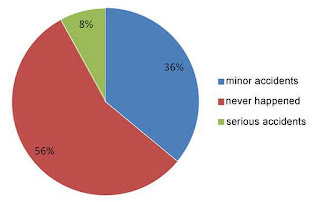 Main advantages of bicycle and tricycle use on goods delivery, according to the establishments managers. 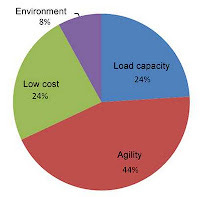 Weight of loads delivered by tricycles and bicycles. Accidents involving the bicycle deliverers. Measures needed to provide greater traffic security and visibility, according to bicycle deliverers. There you have it. Not a bad report at all, is it? European cities are moving forward with cargo bikes as a solution to the transport logistic problems. American cities are rising to the challenge, too. 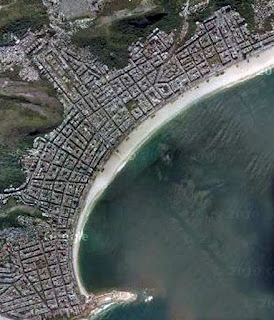 Then there's Rio de Janeiro. Just getting on with it.